For you as a website owner or content creator, this means that you must choose referring sites and pages that are relevant to your page or site and create surrounding content relevant to the link. 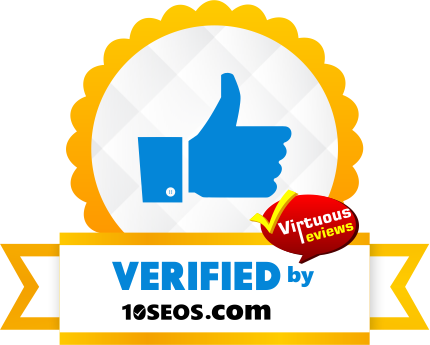 Site trustworthiness can be achieved by having trusted sites like Wikipedia, Huffington Post, and other established and well-known websites linking to your site. In other words, to make backlinks work for your website, you need to strategically plan these links as well as your content with your audience’s needs and preferences in mind. Below are some ways to build, earn and get backlinks that can impact your rankings and traffic for your website. Keep in mind these several things when building backlinks vs earning links. Don’t overdue building the same types of backlinks, keep it in moderation. Diversify your backlink portfolio with many different types of backlinks. Keep in mind anchor text ratios for your home page vs an internal page. Your home page is about building your brand and trust with Google, an internal page has more forgiveness and you can use a little more keyword anchor texts that target the page. Don’t use the same phrase/phrases over and over again. You need to vary this and use LSI(Latent Semantic Indexing) keywords. Make everything look natural – You can read more about our Branded Links and Anchor Text percentages to follow here. Press releases were originally used to inform people something of newsworthy. For businesses, this could be a new product or service to be introduced to the market, or a new business venture they would undertake. For an individual or celebrities, a press release could be used to announce a new contract for a project or to release a statement on some pressing issue. Press releases if used properly can be very powerful and help your website rankings if used properly. In previous years press releases were used to game Google by using rich anchor text keyword phrases to help boost up a page. Google learned how the manipulation was being used and started to penalize websites for using keyword rich exact match anchor text in the press release. So you want to use Brand and URL anchor texts in your press releases primarily. Content syndication if used properly can be very strong and help your SEO efforts. The key phrase in that sentence is “if used properly”. A press release gets syndicated hundreds of times from other press release sites and this is a common practice. Content curation is also a form of content syndication. Content curation is the art of taking bits and pieces of an article/press release/blog post, adding your own thoughts to the article and sending it out to your viewers. The Huffington Post does a lot of content curation. You need to make sure that you are properly citing the source of where the content came from. If you use content you wrote for other websites to promote relevant content or pages on your website, you gain relevant backlinks that actually give readers a chance to get to know you through your website. With content in a syndicated branded network, this effect is compounded as you’re indirectly advertised as an authority to the network’s readers. This gives your personal brand and website credibility to readers of the branded network. Furthermore, you have a chance to gain a share of the visitor traffic that they have as they can simply click a link that was provided in the syndicated content. Guest posting or blogging for a bigger website is a good way of gaining exposure and credibility for your brand or website. Aside from creating awareness among the visitors of the bigger website, you are also improving the search engine ranking of your website. But, keep in mind that the rules on link and content relevance still apply. The anchor text and links you use for backlinks should be naturally relevant to the content you write or, at least, the content surrounding it. You should also limit these links to two or three links in a guest post. Avoid linking to the same page on your website and try to link to different relevant pages that apply to your website, authority website or a branded property. You also want to avoid keyword stuffing the guest post with your keyword phrase that you are targeting. This is a common rule of keyword density and this rule always applies when writing quality content. This is not helpful to the readers of where you are getting the guest post on, to Google or to your readers and may even get rejected by the guest post website. Although it does not have the same effect on search rankings like before, you can still use directories to gain referral traffic for your website. Similar in use to the thick and heavy phone directories that you know, you can use directories to have your website listed so that people who are looking for what you offer have a chance at visiting your website. Moreover, if you choose the right directory, this could help you gain indirect search engine optimization and help you with your Google My Business Optimization. Search engine algorithms give certain directories a good search ranking because these directories have editors to ensure the quality and credibility of the information being submitted to them. Even with the difficulties to get your site listed, it is a worthwhile investment as you can benefit from the good search ranking of these trusted high quality directories. Some good directories/citations to reference this are: Yelp YP Best Of The Web Angies List BBB Kudzu Niche Related Directories Directories and Citation Sites can sometimes be overlapping types of websites. Google gives EDU domains a higher search ranking because of the requirements in getting such a domain, the age of the website, and the numerous backlinks directed to these websites. Your website can take advantage of their authority by having websites of educational institutions backlink towards your website. This can be done by offering a scholarship and reaching out to these institutions to make them aware of your scholarship. If they decide to add your scholarship program to their website, they will generally add a backlink pointing towards the scholarship page on your website so their readers can learn more about it. You want to reach out to many of the EDU sites where your scholarship can impact their students in order to get the most traction possible for your scholarship program. These backlinks can be very powerful for your offpage optimization efforts when used correctly. You also need to make sure you have a way for people to submit/apply for the scholarship with some requirements. You also will need to remember that you need to have the funds to fulfil the scholarship being offered. Social media shares, comments, or likes currently do not have any bearing on search results ranking in Google. However, social media sites can create referral links towards your website. The reaction of those who come across your content can also serve as a gauge for you on how to improve your site’s content. Also, with people sharing your content, your brand can gain better brand awareness and people who see your website in their search results are more likely to click your link. Although social media does not improve your site’s website ranking directly, your personal profile with your website’s naked URL or website brand would still be relevant and be given higher rankings by the search engines. 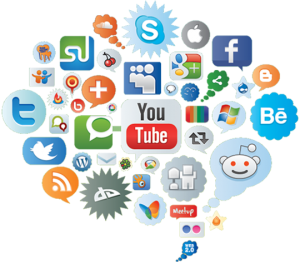 You could also create social media accounts for your website as the way for you to engage and drive visitors toward your website. This way, even though your links present in social media posts and shares do not count towards search result rankings, you can still promote your website and brand at no cost to an audience looking for useful or entertaining content. One statement we always portray is that Google does not love you until everyone else does. The increase in rankings you get from Social Media is an indirect increase from social sharing and the traffic that can flow through from Social Media to your website. Aside from the number and quality of backlinks referring your website, Google also considers the diversity of where these backlinks are coming from. Video is one way of generating this diversity on your array of backlinks. And, one of the easiest and most affordable ways to do this is through YouTube. Other than creating your own videos in YouTube, you can comment on videos with links to your relevant content and this would count for your website’s relevant backlinks. In relation to content creation, you can post videos to complement the content that you have in your website. You can create a community that can receive your information in a more personal manner as videos can create the impression as if the speaker is speaking with your viewer face-to-face. If you’re not willing to invest that much in content, you can have the written content in your website presented in PowerPoint format and record it on-screen with your voiceover. Regardless of how you want to go about in creating content, you can gain video backlinks to your website. When you add a video to YouTube or Vimeo, you want to make sure the video is optimized and the description is also optimized. Another great tip is to create playlists inside your YouTube channel that you can add videos to. You can deliver content in a visual format that can easily be understood through infographics. With its use of attractive art, visual aids, and color combinations, it catches people’s attention that eventually prompts them to read the content. If they like what they’ve read, they can share it in their social media networks and the infographic can easily gain the attention of their friends or followers. To make your infographics serve as backlinks, an embed code unique to your website is required for it to be shared. Aside from making sure that it links backs to your website, this prevents other people from stealing and reaping the benefits of your image. An embed code can be manually done by editing your html file or through an embed code generator. Your website would eventually get links that you have no effort or influence in its build-up or creation. These links come from other websites as they use your content as reference and link to your relevant pages for their readers to get more information about it. The key to getting this type of backlink is continuous and consistent posting of quality content in the long-term. But, if your website is targeting a small niche, other websites like yours are more likely to be a competitor. These competitors would naturally choose not to help their competitors to build their brand and website search ranking. To gain niche related backlinks in this case, you can directly contact websites that carry related content to your website and request adding links in their page towards your website. If you create a great blog post, you can then turn that post into a PDF and add it to PDF sharing websites. In the PDF you can have images and hyperlinks pointing back to your website. This is another way to get diversity in your backlink building efforts. Although this is a PDF, it is also part of effective content syndication. When it comes to forum posting you can get a backlink to your website from your profile. You want to make sure you are using these properly and are primarily from niche related websites. Remember you want to show activity on the forum and your profile in order to get the proper effect you are looking for. In the past, this was a way to get many, many spammy links pointing to your website from all kinds of forum websites. At one point this practice was an effective way to increase your website rankings, but it is not the same as it once was. 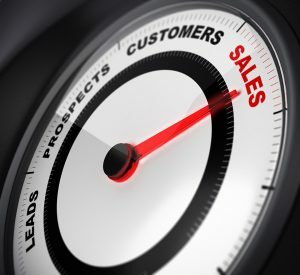 By showing activity and engagement on the forum, you can gain quality traffic from people that want to learn more about you or your products and services you are offering. Blog commenting is another practice that has lost its luster and is no longer an effective form of website optimization in large quantities. You need to remember to keep everything in moderation and diversify. Blog comments can still impact your website rankings in a few ways. You need to focus on industry related blog comments and write an informative blog comment to give potential readers a reason to visit your website. You can gain website traffic from a well written comment on a related article/post. You also are getting a no follow backlink from a niche related website. A private blog network (or PBN) is a set of domains owned by one entity (business or individuals). Commonly, this is made up of expired domains that used to produce regular content. A PBN uses credibility Google assigns on these websites due to the age of these domains. Since the owners of the PBN can control the content of these domains, these websites can be used to provide backlinks to drive traffic towards their main website (or the money website). With backlinks from these credible sites, Google increases the search ranking of the money website and, consequently, improves its online traffic. There is an art and science to using PBN’s effectively to ensure your website gets the ranking boost you desire and protect your money site at the same time. If you write quality content and use backlinks for people and not search engines, you can create backlinks for your website that would be effective no matter how many updates to the algorithm there may be. By applying some of these backlink building types, you can improve the search ranking of your website. By creating a good user experience, quality content and natural links you can achieve - an optimal user experience and higher search engine rankings. Reasons Why You Need to Work On Your Website Load Times! Another tip to increase your website speed is to pay attention to your pictures. Pictures usually take up a lot of time to load, especially if you have not edited them properly. If your site is picture heavy, then it will definitely take longer to load especially if they are not optimized. Most people would opt to place thumbnails or smaller resolution pictures on the pages to save on space, as well as load time. You may think that optimizing your images so they will load faster will take up a lot of time on your end. It is not necessarily so. There are many programs that can help you optimize all of your pictures at once, so that they are all in the same size. That should be so much less effort for you. To make it even faster for your viewers to access your site, you may also want to try the lazy load technique, where the pictures load while the viewer is scrolling down the page. This saves a lot of loading time and it is very user friendly. This will save your viewers bandwidth, especially for viewers that do not read posts all the way through. A great plugin that works to help optimize your images is Imagify. Imagify will optimize your images with just a few clicks of a button. They provide different programs based on your data usage per month. You can also use a CDN to help with optimizing your images. A CDN is known as a content delivery network and “is a system of distributed servers (network) that deliver pages and other Web content to a user, based on the geographic locations of the user, the origin of the webpage and the content delivery server”. Seen published on http://www.webopedia.com/TERM/C/CDN.html. A good CDN is Max CDN and has very competitive pricing. Using YouTube for videos can actually keep the loading time down on your posts and pages. Placing a video directly on your site can cause some drag while people try to access your content. If you do not like using YouTube, there are other streaming services that are readily available to use online. Putting lesser loads on your server will make your site easier to access. For a more optimal user experience, remember to disable the Auto Play feature on your videos. This can be a little unsettling for your viewers and some of them may get annoyed enough to leave your page. Give a great description of the video you want them to see. If they are at work and the auto play comes on, they potentially can bounce off your website immediately. Check out our web design do’s and don’ts. Keeping your main page neat and organized is also a good way to keep your loading speed fast enough to gain more viewers. Instead of showing the full posts on the main page, you can choose to show only the first few paragraphs. Excerpts are sneak peeks to the main content, and it is a great way to build interest too. You may also want to make sure that you only feature around 4 to 8 posts on the main page in order to reduce the load time. You can have a load more button that allows more posts to be loaded just by a click. You can also utilize pages (page 1, 2, 3 for your posts), or you can develop a good database that can make your audience get to the content that they want faster. People will definitely appreciate your site’s efficiency. A great way to keep your posts organized is utilizing a silo structure on your website. Try to check through the plugins on your site and find the ones that are no longer being used. Unused plugins can create a lot of drag on your WordPress site. Take a look through your list. Sometimes we can forget, and deleting the things we do not used can create seconds of difference. On the internet, that is a big difference already. You may even want to study how these plugins function. You can incorporate these without having to put the entire plugin on the site. A few codes on your functions.php can give you the same benefits a widget can offer you. You also want to keep your wordpress plugins up-to-date for efficiency and security reasons. WordPress is based on a MySQL Database, which means that the database gets larger whenever your posts are edited or when comments are left on the site. Always remember that every time you revise your post, the last version will be automatically saved to the database. Cleaning this up will allow your page to load much faster. Spam comments must also be deleted. While it is great to have comments on your page, spam comments do nothing for you and it will only slow the page down. There are plugins on WordPress that can help you do these maintenance tasks on your site. Since plugins can create a bit of a slow down on your site, you might want to enable this only once a month. For the rest of the time, you can keep it disabled. WP Rocket takes care of the maintenance work for you as well. 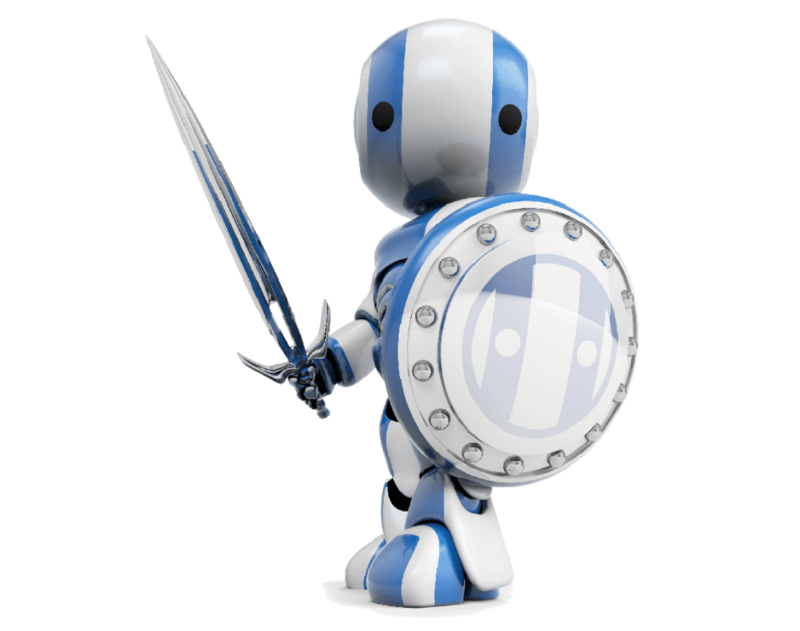 It will cleanup old revisions and will also delete spam comments from your database for you each week on auto pilot. Also try not to keep website page redirects to a minimum. Sometimes you have to redirect pages, posts, categories and even tags to a new URL. Each redirect added to the page, can and will slow down the page load times. The first thing that you should do is to cut down on the word art. Many times, glitzy word art can slow down a page significantly, and it is not a pretty picture when it refuses to show up on screen. In some ways, word art can be unnecessary. It is fine to use it for titles, or for details that absolutely need the attention. There is no need to overdo. You can try using a neat and legible font instead and pay attention to proper spacing. Nice and simple goes a long way, and it will even make your site look fresh and professional. Remember to take down pop ups and widgets that are not of the utmost importance. Decorations can be attractive, but you will have to consider that not all viewers will appreciate that. They will always want good content, and they want it fast. Widgets and other decorations can sometimes take away the experience. 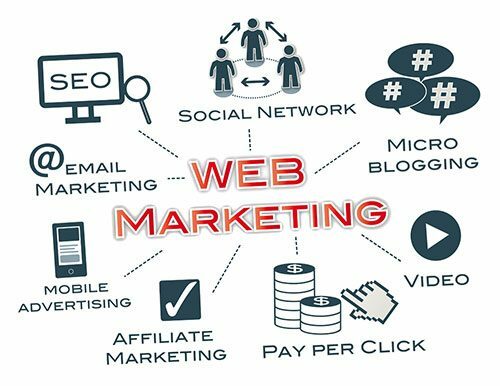 When launching an internet marketing campaign or simply promoting content from your website, one of the primary goals is for the website to appear in the top results list in various search engines. In this way, you can drive more website traffic or turn those visitors into actual customers for the products and/or services that you offer. Branded keywords provide you one of the easiest means to rank for a particular search/query result. Unlike generic keywords, your unique company name or brand name sets you aside from your competitors on the same niche. Investing/bidding on branded keywords may incur relatively lower advertisement costs since it is already specifically relevant to your company name. Thus, branded keywords can vitally lead people to your site – without having to allocate much more funds from your campaign budget. These serve as one of the main indicators that search engines use to interpret your content to be relevant to a particular search query. In turn, the more backlinks you have may also mean the more ‘votes’ you have from different websites. These websites may be in a way, referring to or recommending you because of the quality of your content, the credibility of your site, and etc. One way to create backlinks is through the use of anchor texts. Anchor text is simply the visible text that is present in a given hyperlink. Since backlinks are used as an important basis for the relevance of your website to a particular search query, the anchor texts should be also able to provide contextual information of the link’s destination. Thus, it may be useful to use branded anchor text backlinks or branded mixed with a keyword phrase. However, it is important to note that the basis of backlinks as indicators for search rankings do not only refer to the plain numbers of websites pointing to your page. It is also rather influenced by the popularity and the credibility as well of those sites that refer you among many other factors. They are shorter and easier to read and thus, are easier to remember. Unlike simple shortened links, branded links make you unique. Since it incorporates brand name, it thus gives your brand more exposure and gives users an idea of the content that you share. When using branded links, it is important that you do not only formulate a link that incorporates your brand or website name. Make them as short and relevant as possible to the content that you are trying to present or the product that you promote. For branded links, it is especially convenient to use custom or branded domains that you can acquire for a low cost. For example, the most popular companies have their custom domains as shown: www.fb.com for www.Facebook.com has www.fb.com www.Amzn.com for www.amazon.com The latter are not really different websites, but clicking on or typing those will still redirect you to the original website. Keep in mind that the domain extension doesn’t necessarily have to be .com. It can be everything that you can incorporate to your brand name. For example, pepsi.com uses pep.si as one of their branded links. So basically, you create lists or particular keywords which you can use for your branded links, use a link shortener tool or service, choose and acquire a custom domain, and share these links to your different communication channels. The websites that point to your site should have an established authority or credibility for the content that they share. It is useful that the content of your website are also relevant to the websites that refer you. Most importantly, the anchor texts you employ should be as diverse as possible. Examples: click here, company, website, this website, this blog, our website, expert website, visit website, check out this website, check out the blog, visit the blog, visit this page, why this company, check out this company etc. Examples: website optimization, optimization of your website, mobile website optimization, optimize your websites for search engines etc.. Example: How to Properly do SEO and make your company stand out! Examples: search engine optimization, website design, local seo, SEO, internet marketing services, digital marketing agency etc..
Notice how we have exact match keyword phrases as last. In today’s SEO environment you want to look as natural as possible and exact match keyword phrases are not natural. 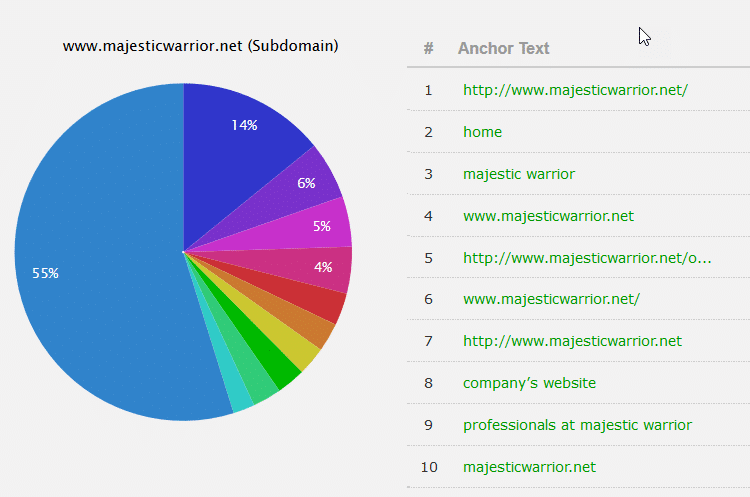 You want to use these types of anchor text on your most powerful links from niche related websites. You also want to avoid areas of syndication of exact match anchor text. Syndication is a great tool, but in this case can do a lot of harm when you are using exact match anchor text for your backlinks. To emphasize the last point, a diverse link profile suggests that you are not simply trying to rank for your profile but it is that many websites are actually vouching for you because of your content. This is then where the use of branded links comes into play. As mentioned, branded links make it easier for you to target SEO. Thus, these should also have a good share on your anchor text percentage. One of the ways to diversify your link profile is to use branded links with keywords. As SEO analysts would recommend, 35% to 90% of your link profile should at least tell something about your brand. Diversifying your links can also mean where you get the links from and link sources. We will discuss this a lot more in depth on another post. Branded Variation Anchor Text - 60-75% Naked Link Variations – 20-25%% Generic - 5-10% LSI/Partial Match – Less Than 3% Exact Match Anchors – Less than 1% Also Remember Keyword Density for Each Page: (Helps avoid over optimization) 1 Word Phrases Less than 3% 2 Word Phrases Less than 2% 3 Word Phrases Less than 1% This is on a page by page basis, Google does not rank websites, it ranks web pages. Each page should have this type of formula. In conclusion, the use of branded keywords and branded backlinks are both essential in increasing your search visibility in different search engines. Branded keywords are specifically important because it can easily point out to your brand name. You can utilize those for the backlinks that you create which is also one of the important indicators for search rankings. The most important key is to balance the use of different types of backlinks. You do not under-optimize or else you may just flank in the rankings as much as you do not over-optimize that you may be flagged by Google for penalties. You may know how to find these citations and you may have built some of them on your own, but you need to make sure they are optimized well and include all available elements they allow. It is also important to keep adding new citations and know how many citations you need to stay ahead of your competitors. You also want to find niche related listings (which are more powerful as they are niche related) and hyper local citations. Hyper local citations are location specific to your area. For example in Arizona we have a local directory called Local First Arizona, which is considered a hyper local directory and these can be a very powerful listing source. We mainly provide services in the US so most of our listings/citations are going to be focused on US businesses. Since online marketing changes and evolves, we will try to keep this list updated and ongoing. Some really good finds of online citations/social profiles do not always continue and end their services, so it is important to us to keep this updated. You also want to look into getting included in Data Aggregators, as these can help you get listed and found automatically on other citation sources. So they are important to include, but are not necessarily listings or citations. The first section is going to be general citations and we will be providing industry specific citations. Some of the industry specific listings can be overlapping to our general list. We will also be adding more to our industry specific citations as we are only including a handful of industries on the original post. You can also make a copy of the list or download the list from our drive file. On the file there are multiple tabs at the bottom of the spreadsheet. There are so many sources available, we probably have missed some, if you think we have missed some please let us know so we can add them to the list. If you are busy running your company and want an expert team to handle this process for you, get in touch with us today. This is a part of our local SEO strategy and we build links to these citations to increase their power, authority and trust. Besides our citation building campaign, we use other additional strategies to help your business get found on Google Maps. There are many citations on our list we use as examples of how you should build and fill out your listings.